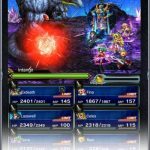 Final Fantasy Brave Exvius is the new FF mobile game from Square Enix, and unlike other Final Fantasy titles we’ve seen the company released for mobile devices, this one’s absolutely free. And it’s also available for both Android and iOS devices! 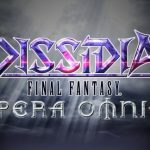 According to Square Enix, this game includes characters from various FF titles, as well as the same dungeon crawling and town exploration mechanics you may be familiar with if you’ve played the franchise’s console titles in the past. 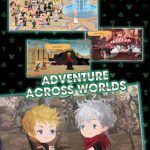 It promises simple, yet strategic battles, and if you’re a FF fan, we would certainly suggest that you at least check this one out, as it’s as close as you can get to a Final Fantasy game distilled for the mobile experience. 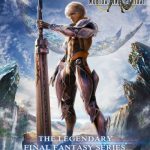 Of course, you may be completely new to the franchise, or this may be your first time to play a FF game on mobile. Or maybe you’re an experienced player looking for some tips and tricks to get ahead. Regardless why you’re checking this out, here’s our Final Fantasy Brave Exvius strategy guide, which covers all the general tips you need, whether you’re a rookie player or someone who can be considered intermediate, or even expert. Just because it’s a respected, well-known company like Square Enix behind the game doesn’t mean auto-battle AI is smarter than the average human player. Yes, auto-battle will get you places if you use it during the easier battles, or if you start out the game by using it. But the thing with this feature is that it doesn’t give any consideration to magic, limit breaks, and the items you’ve got; in other words, it’s hardly different from most other auto-battle features, as it has the same simplistic, back-to-basics go-to battle strategies. When you’re up against a tougher enemy, you want to turn auto-battle off, and micro-manage your characters, allowing you to fine-tune your strategy and make use of the items, magic, and limit breaks you have. There’s a lot of town exploration in this game, and you can take full advantage of this mechanic by visiting weapon and armor shops once you’ve arrived. Take a look around and shop for equipment, particularly those items that weren’t available in the last town, or towns. And once you’ve bought what you need, go to each character’s equipment menus. You can carefully pick which items go on which character, though the Optimize button will let the game equip each character automatically with the most ideal items. Even if you’ve already completed all of an area’s storyline battles, you’ll want to go back to that area as the exploration zone would then be unlocked. Exploring around a town you’ve already visited will allow you to score some crafting materials and treasures, which makes this a very productive way to grind it out. And it may also be something you have to do, as you might have to visit a specific area to acquire a quest item. Another thing you want to do when you’re new in town is to talk to the villagers. Having a chit-chat with these non-playing characters will reward you with lots of side quests, which aren’t essential to the main story, but nonetheless very much recommended to take on. That’s because you can win special equipment and other prizes that you wouldn’t able to find in any store. You may also win recipes that will show you how to craft new equipment or spells, or how to synthesize new characters. Although Final Fantasy Brave Exvius can be played by your lonesome, with no real need to add any friends or respond to any friend requests, doing so will make the game more fun and productive. For example, that will allow you to add their leaders in battle, while they do the same with your leaders. You will also be able to accept and send gifts – make sure to return the favor if someone gives you a gift! The game has several trophies which you can earn, and once you’ve completed what needs to be done to claim the trophies, you can earn free Gil, free Lapis, and free crafting materials and items, as well as other goodies. Those “other goodies” can include free characters, and who knows – you might luck out and end up with a rare! Just visit the Trophies area, tap on any of the dark trophy icons to see what you’ll have to do to achieve it, and head to the Rewards area once you’ve completed what has to be done. When assembling your team of characters, you should do so in the smartest way possible, which is to organize everyone in order of rarity. These are your most powerful characters, or the ones who have the most potential to become more powerful. You can make your characters much better than they already are, and do so especially with your rare characters – this process is called enhancement. What you want to do here is to set aside those rares, add them to your party, then choose the Enhance option so you can sacrifice common team members to make the rare ones much better and give them huge XP gains; this is a great way to get rid of characters you no longer need, or whom you know won’t be of much help in the long run. Once units hit their maximum level and you’ve got the requisite materials and Gil, you can awaken the unit or units in question, bust them back down to level 1, but upgrade their rarity level by one star, thus adding to their potential. Although enhancing is the best way to make use of those characters you don’t need, use, or believe would be useful going forward, you can also sell them off for more Gil, if you’re running short of it. You’ll earn more Gil depending on the level of the characters you’re selling and their rarity. This is great if you want to buy some new equipment but are too lazy to check out the exploration areas or grind it out in the battles – we would definitely suggest the latter two rather than selling characters off, though, if you’re contemplating selling someone of high rarity! Then again, you’ve got those characters whose sole purpose in the game appears to be to benefit you through Gil or through experience points earned via enhancement. For the former, the Gil Tortoise will earn you 10,000 Gil if you sell it. As for the latter, the Metal Cactaur will earn a target character a good 10,000 XP if you use it as the sacrifice character. Otherwise, those two really won’t do you any good in the battlefield, which means their purpose is clear – they’re there not to fight, but to help reward you with more Gil and/or XP. Once you’ve completed all of a specific area’s battle quests, you can accept the exploration quest. This will allow you to hunt for treasure, though you should also keep your guard up for more battles – this shouldn’t be unfamiliar for those who have been playing FF games on the console. Now you should try not to quit this quest as you’ll lose everything you’ve collected thus far, but once that happens, you’ll have a secondary goal to find another way out. That would normally mean saving up your limit breaks and magic, as there may be a boss character guarding that second way out. Kill the boss, leave through the exit, and complete the level. At a rather early point in the game, you will be arriving at the Farplane for the first time, and after you arrive there, that area will become accessible in the towns as you go along. For starters, you’ll see a Farplane warp in Mitra. Once you’ve used the warp, look for the Googles and talk to them, and have a chit-chat with King Mog once you have the chance. The Farplane is also where you’ll find the Dimensional Vortex, which is at the heart of this tip. What’s in it for you in this Dimensional Vortex anyway? Well, it comes with a number of dungeons that will become available to crawl through for a limited period of time or number of times in a day; take note of these limitations so you don’t forget about going back there! Crawling through these dungeons may be challenging, but the rewards will be completely worth it – you may win crafting materials or tons of experience points and/or Gil. Visit the Dimensional Vortex regularly to check for new dungeons, and turn your notifications on so that the game can let you know about dungeons that have recently opened. Final Fantasy VI players may remember the Colosseum, and if you do remember that battle arena, you’ll be glad to know that it’s back on FF: Brave Exvium, and can be unlocked after you unlock Royal Capital Grandshelt. Colosseum battles work as such – you’ll start by fighting multiple rounds, much like you might have at the FF6 colosseum, and as you go farther into these battles, you’ll earn more points and more/better rewards. At the end of this series is a boss battle, which may, and will be tough, but will earn you bigger prizes if you defeat them. 15. What Are Espers And What Do They Do? You’ll have the option to equip your characters with Espers once you’re fairly late into the game. This will improve your character via some stat boosts, and they’ll also be imbued with an element, which gives them certain strengths and weaknesses. They’ll also get new magic spells, and that’s just a handful of the things your characters can benefit from if equipped with Espers. Make sure to level them up so you can improve their positive effect on your characters. Leveling up Espers is simple enough, as they naturally gain levels as they remain equipped and in use in battle. Fortunately, though, you won’t need to sacrifice any heroes if you want to enhance your Espers. That’s going to allow them to level up much faster, though you will need certain materials in order for the process to go through. It’s also important to try to match elements, as that’s going to give you a 1.5x XP bonus that could be crucial when it comes to this process. You can also train your Espers, which will let you use the statistical points you earned by leveling up to show up on the training board. Spend those SP as you feel fit, though you might want to balance things out at the end of the day. Choosing one stat boosts makes the other boosts on the tree available to you, making it much like the Final Fantasy X leveling mechanic, as some have observed. Lastly, you can evolve your Espers once they reach their maximum level. Simply use it to fight in a battle against the exact same type of Esper. If you win the battle, your Esper will evolve, thus increasing the size of its training board, and improving stats and summon magic as well. Auto-battle, which we mentioned in the very first tip, may be simplistic and not really too effective in tougher battles. But you may have noticed that your characters are stringing together some impressive combo chains while being controlled by the game’s AI. Still, it is possible, and surprisingly easy to string these combos together. Use multiple attacks of the same element, launch them with separate units, and just like that, you’ve got an element chain. You can string together a spark chain by using multiple attacks simultaneously from separate characters – think of it as two of your characters attacking one enemy at the same time. Either way, stringing chains together will result in much more damage from your attacks, though you’ll have to be prepared for some rapid-fire tapping. This completes our extended guide for Final Fantasy Brave Exvius. We hope you’ve enjoyed this list of tips and tricks. If you know any other hints for the game, feel free to leave a message in the comment section below!